THE newly launched Data8 is a postpaid data plan by red ONE Network Sdn Bhd (redONE) that addresses the needs of budget-conscious consumers. 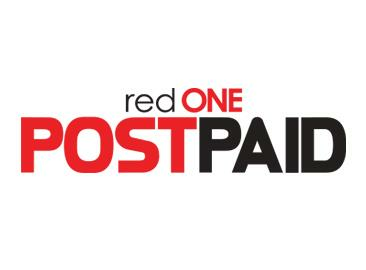 At just RM8 a month, subscribers get to enjoy 500MB data and free calls among redONE users. On top of that, Data8 provides a range of high-speed data bundles at affordable prices. “Usually, we will be tempted to go for higher data bundles in the name of ‘better deals’, which are mind tricks to make us spend more. “If we don’t really need as much data, perhaps we should view our needs from a different angle,” said redONE chief executive officer Ameen Amaendran Abdullah. “This is where Data8 comes in. It revolves around the concept of ‘basic at its best’. By being basic, we gain control over our expenditure,” he said. Customers can choose from high-speed data bundles of 1GB+ (RM20), 2GB+ (RM30), 3GB+ (RM40) or 5GB+ (RM60). Those who opt for high-speed data bundles may continue to surf under throttled speed without the worry of extra data charges upon exceeding the limit of their data bundles. Furthermore, they are eligible for a free one-year digital newspaper subscription worth up to RM360, which includes The Star ePaper. “There will always be higher data bundles available. Instead of focusing on getting the best deal out there, spending our money on what we really need is the guaranteed way to save,” said redONE chief sales officer Ben Teh. “The Data8 plan appears basic but this fulfils the practical needs of people who want to manage their budgets,” he said. With Celcom Axiata as redONE’s network provider, subscribers of the Data8 plan are able to enjoy quality 4G LTE data at budget-friendly prices. Currently, redONE has a subscriber base of more than 800,000. With Data8, the mobile virtual network operator (MVNO) aims to cross the one million subscriber mark this year.